St Patrick’s day is on March 17 so we have pulled together 10 easy programming ideas to help celebrate the day. 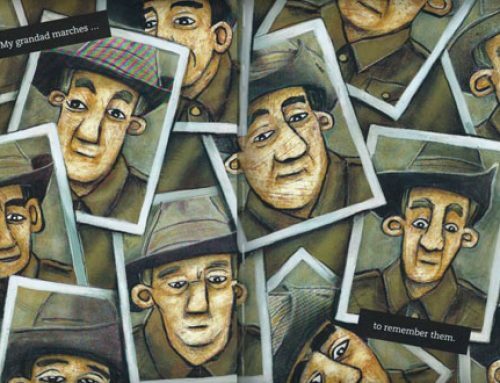 While this is a religious celebration of the death of St Patrick there are a number of non religious icons which are associated with the day and can be used to extend learning while being fun. The colour green and the shamrock are synonymous with St Patrick’s day. 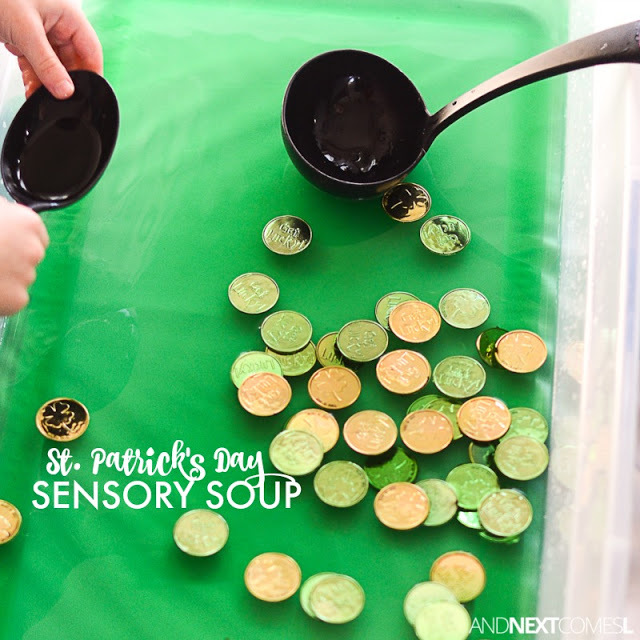 With a little bit of liberty, a dash of Irish folk lore, including rainbows leading to pots of gold and leprechauns are also acceptable to be used as part of the days festivities. 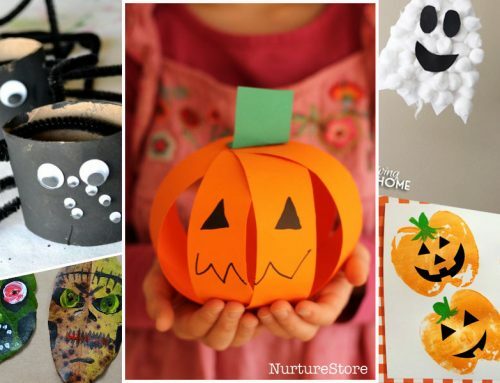 Here are 10 activities which could be used to theme your day. A very simple idea incorporating common house hold utensils some plastic coins, water and food dye. 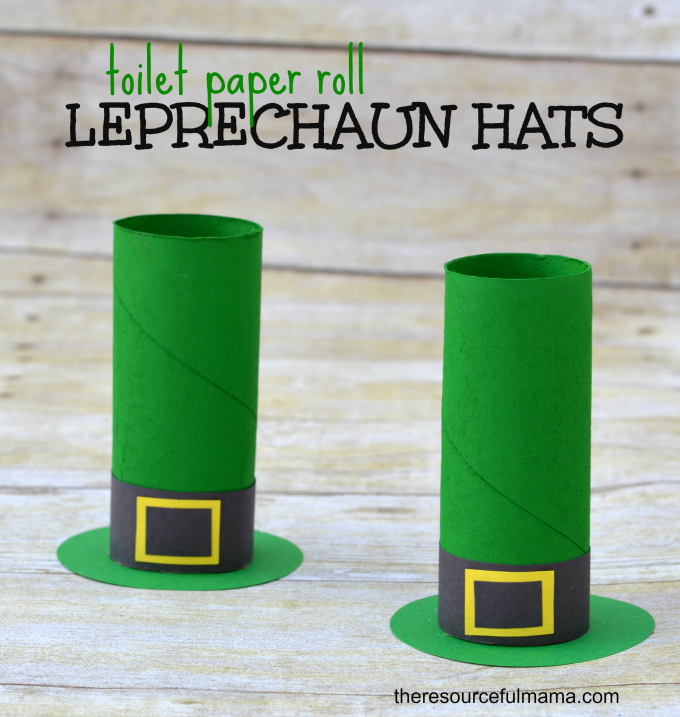 Mini Leprechaun hats are easy to make and do not require too many resources. Green paint, green, black and yellow card with some glue is all that is needed. 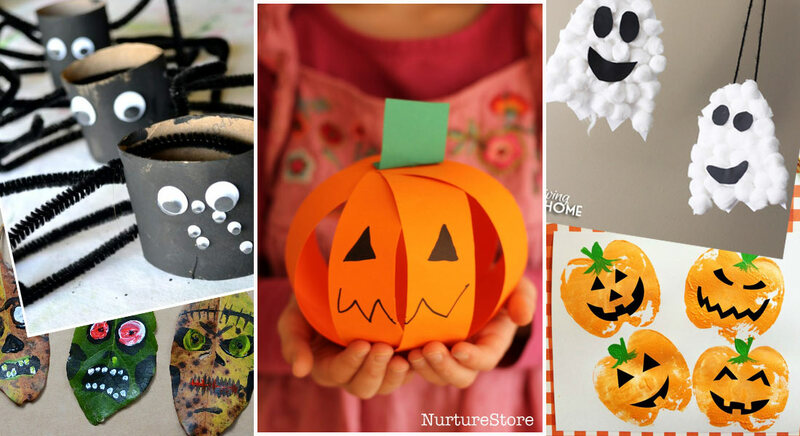 A great activity to help develop fine motor skills for children. 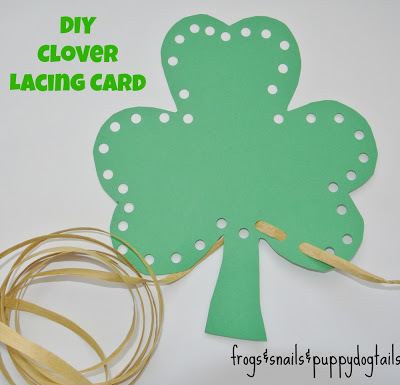 Create a Shamrock template and use it to create any number of lacing cards. Use a hole punch to make holes around the perimeter of the card. Use wool or ribbon to thread. 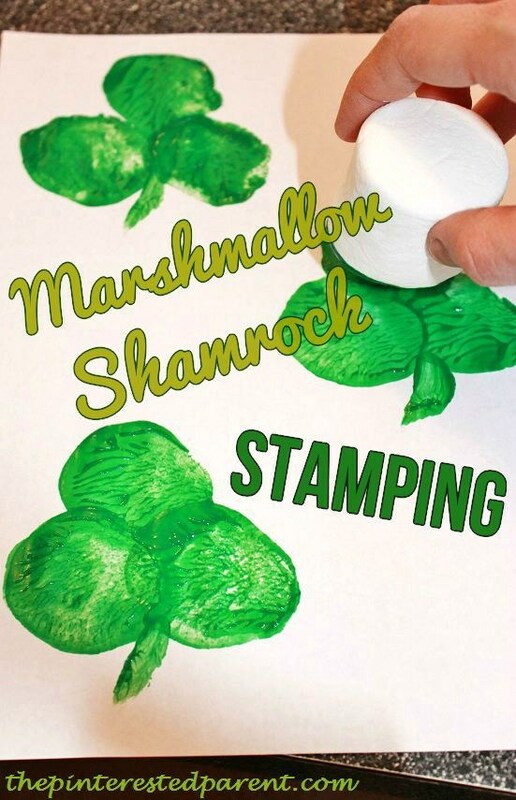 A novel use for marshmallow, however this could be substituted with anything else including carrots, potatoes, a cap from a soft drink bottle or blocks to name a few. Paper and green paint and the activity is resourced. 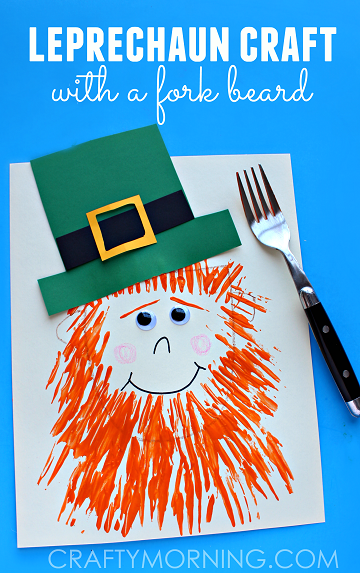 Swap the paint brush to give a scraggly beard to a Leprechaun. Pain, paper and fork are all the resources needed. Now everyone can have a lucky four leaf clover. 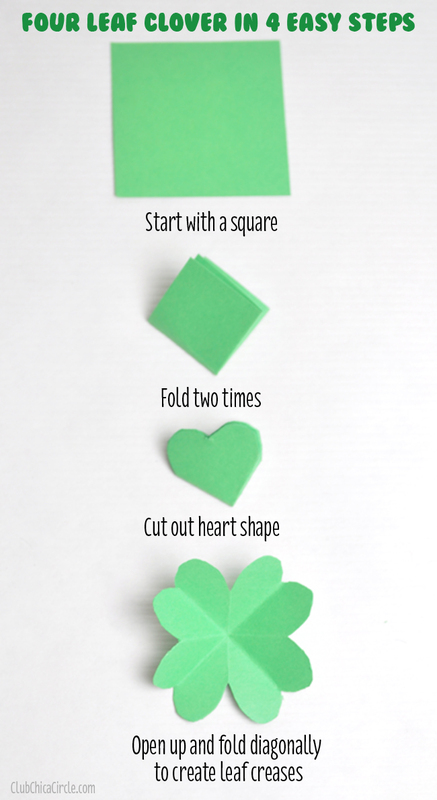 Using a square green piece of paper fold it into four. Cut the outside edge into a heart shape and unfold. 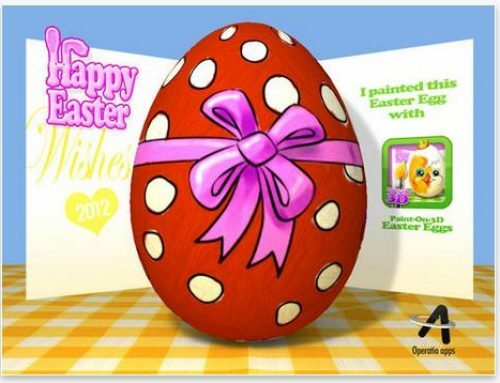 This activity will take a little longer and require more resources than the other activities above. 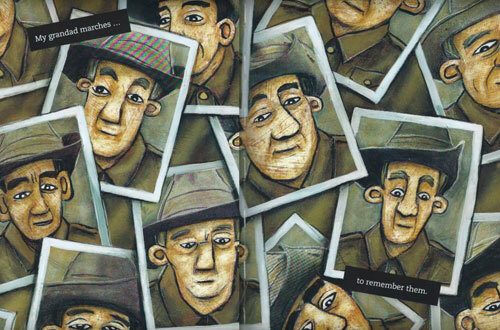 The face is a manilla folder cut into a face shape. Add a hat and eyes. Draw on a nose and mouth. Use torn pieces of paper to create a bushy beard. Mums and Dads will love getting this St Patrick’s day keep sake from their child. 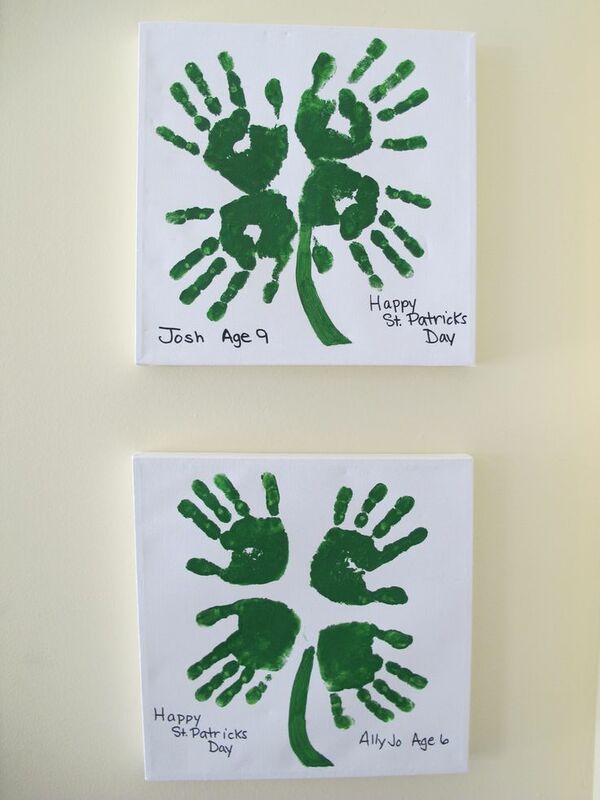 It is simply four well positioned hand prints on a piece of paper using green paint. Kids love slime! Creating slime is easy but requires adult supervision and participation. Once a batch is made use it for sensory play. 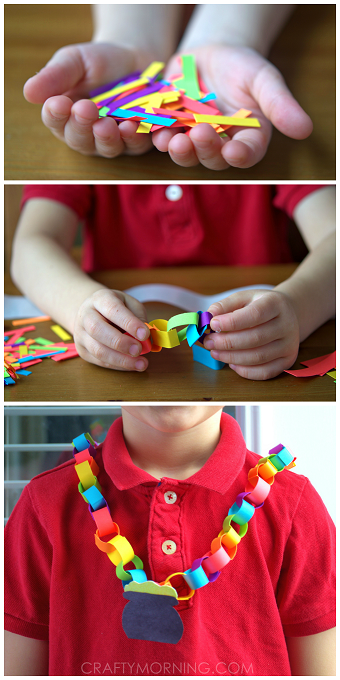 Paper chain used to good effect to create a rainbow necklace which attaches to a pot of gold. Resources required include, glue, coloured paper cut into strips and pot of gold! 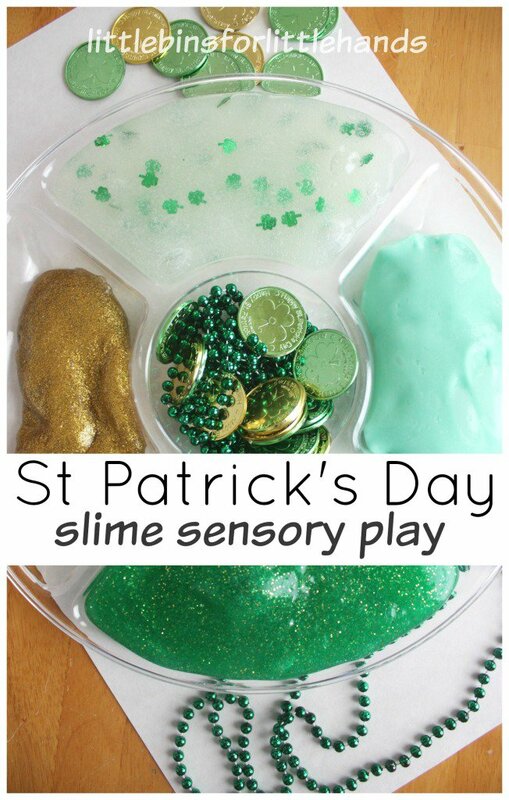 If you are searching for more St Patrick’s day activity ideas take a look at our new pinterest page for early childhood educators.